We, students and concerned citizens of India, condemn the murder of six people and the disappearance of 43 students of the Raúl Isidro Burgos Normal School from the town of Iguala in Guerrero on 26 September 2014. 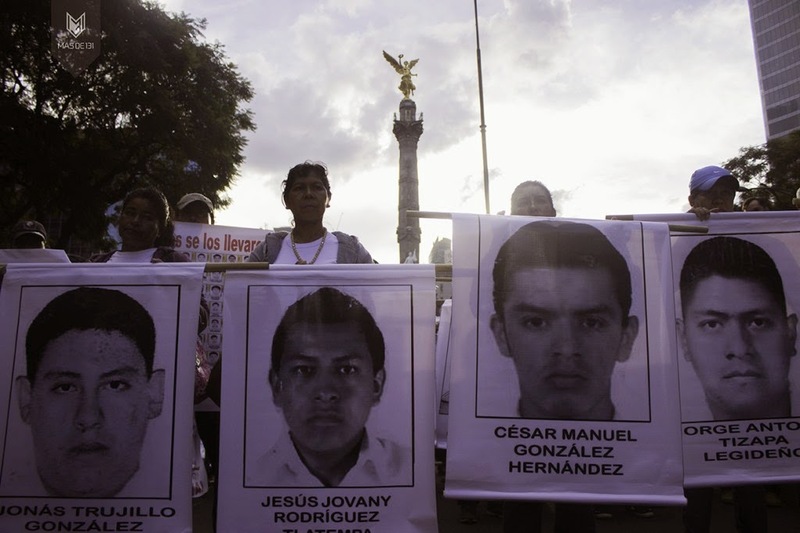 The disappeared students were taken by the Police on this day and have since been missing. In India too, we have been witness to a long history of impunity of the State Armed Forces that have been consistently used against democratic and peaceful forms of protest and organisation. We are shocked by the gravity of the crime that reflects the deep-rooted culture of impunity built over many years in Mexico, and perpetuated by the 'War Against Narcotraffic' intiated 8 years ago. Your pain is our pain. In the search for these disappeared students, we have to come know that several mass graves were uncovered pointing to the many more disappearances over the years. We are aware this is not an isolated incident and is only the last in a long series of disappearances and murders. According to Amnesty International, over 22,000 people have disappeared without any proper investigations into these crimes. We stand in solidarity with you in your fight against repression and violence of the Mexican government and the impunity it provides. We salute your struggle in the search of your beloved children and in demanding the State's accountability and transparency in their disappearance. We stand by you in your courage for having come out into the streets of Mexico to confront the violent State that has tried every trick up their sleeve to malign and divide your voices for instating a true democracy. We are watching the manner in which instead of heeding your demands, the Mexican government is responding with more and more repression and arbitrary detentions. We have faith that this will not deter you from continuing to demand justice, and remain inspired by your courage. You are not alone. We stand by you in this important moment in the building of a truly democratic Mexico and send our revolutionary greetings from other side of the world.